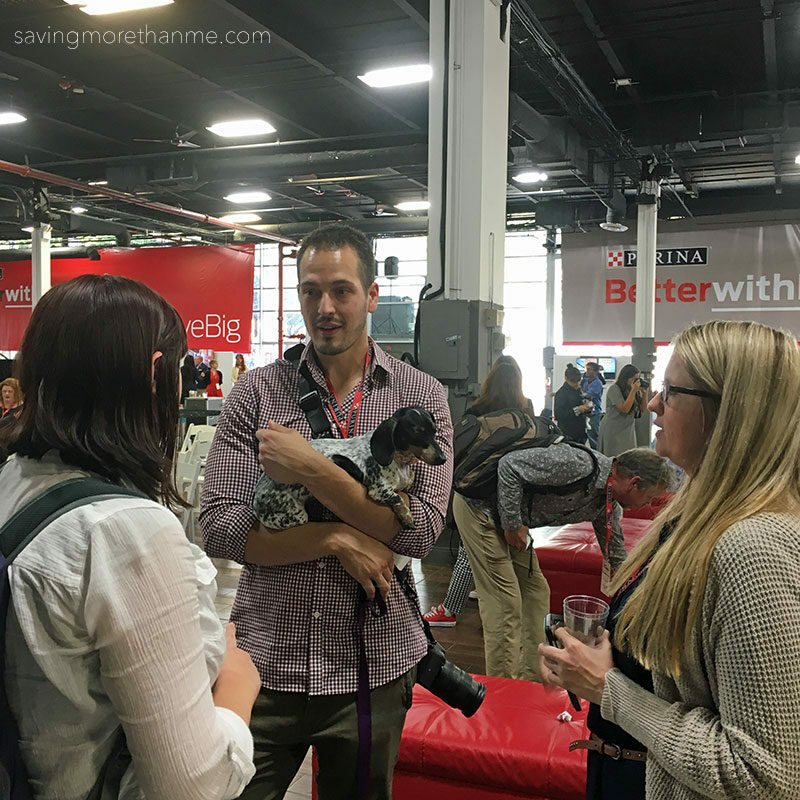 On October 18th, 2016, I attended my second Better With Pets Summit in Brooklyn, New York (you can read about last year’s Summit experience here). 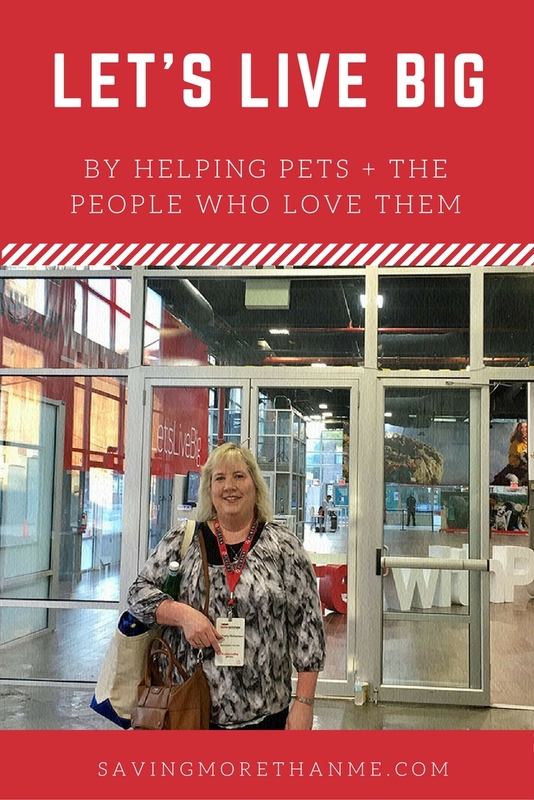 Attending a Purina event is like going to a family reunion and it’s not because I get to see my fellow bloggers, influencers, and pet owners. It’s because Purina has been a part of my life for over 40 years. 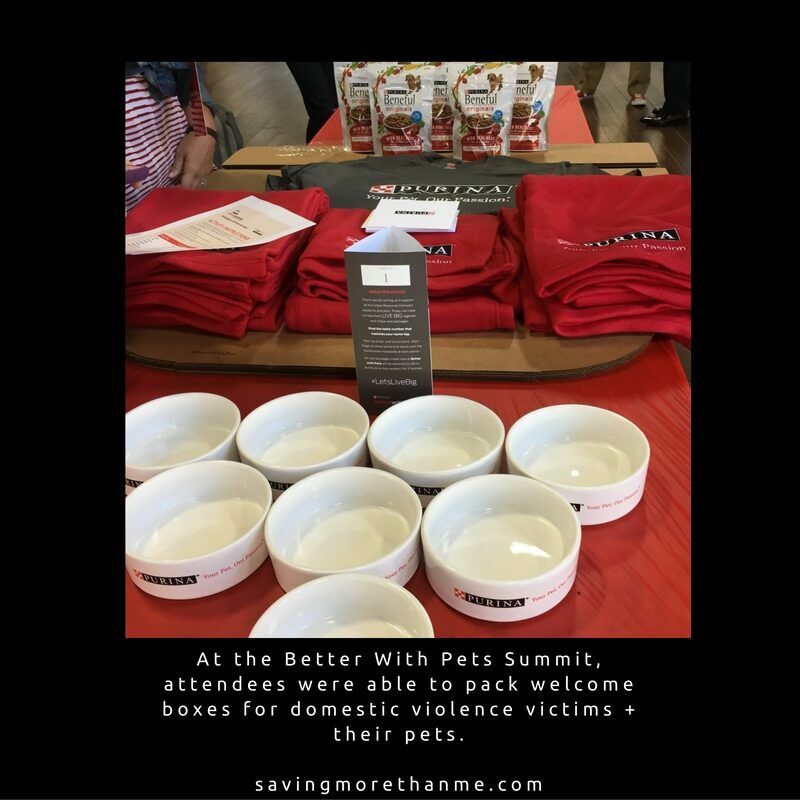 The theme of this year’s Better With Pets Summit was “Live Big.” No, this Summit was not about living big by spending money and having a party. To “live big” in this context means making it a priority to improve the health and wellbeing of pets and people and how together, they can make the world a better place. 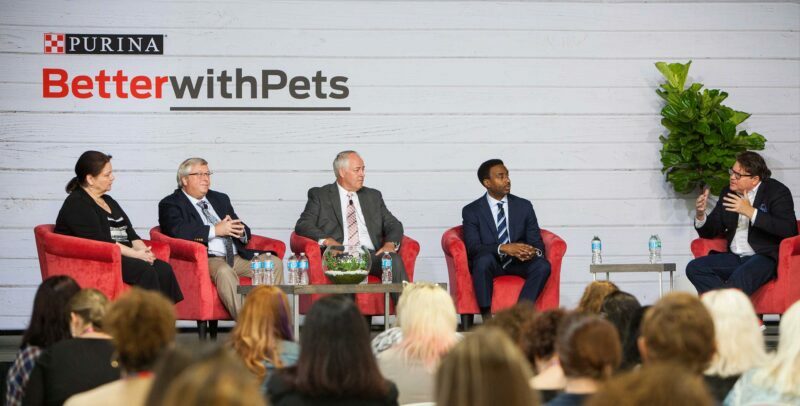 Purina is engaged in a lot of research and social good activities but there are three things they’re doing that have had a profound impact on me personally. Through a partnership with Purina, chronically ill children at St. Louis Children’s Hospital are able to reunite with their beloved pets for a visit at the on-campus Purina Family Pet Center. Not only has this had a significant impact on the children hospitalized there but the adults and employees are positively affected as well. At the Urban Research institute (URI) in New York, domestic violence victims seeking shelter no longer have to leave their pets behind. Purina has partnered with URI to make this financially possible by providing separate shelter space for victims and their pets. Purina also provides pet food and supplies to make sure that those seeking refuge can focus on their well-being instead of worrying about how they’ll feed their cat or dog. Chronic kidney disease is one of the silent killers of cats. I lost my black cat Bear a few years ago because of it. Purina understands that this is a serious issue so they are conducting research with the hope of finding a way to slow down the disease either through nutritional intervention or by finding the genes responsible for this disease. As I reflect back on all of the speakers I heard and all of the people that I met, I realize that they all have one thing in common. Well, two things really. Between the Family Center at St. Louis Children’s Hospital and the shelter at URI, it’s obvious that each and every one of us can make a difference. We can make a difference in the lives of our pets, and other people’s pets and we can make a difference in the lives of the people who love them. 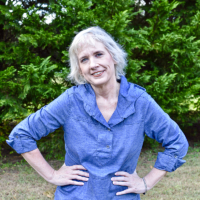 All we have to do is ask, “how can I help?” Whether it’s donating food to our local animal shelter or giving money to fund a new kennel, we are all living big when we take the time to help one another. Let’s do more of that. How is your pet helping you live a bigger life? Show us by posting a photo on social media with the hashtag #LetsLiveBig. We want to see you and your pets living big together! Be sure to follow and tag Purina on Twitter, Instagram, and Facebook. I love companies that give back, and I love how purina is doing that. The URI sounds incredible, domestic violence victims often don’t leave a bad situation because they fear for their pet’s safety. What a great opportunity to give back by packing up Welcome Boxes for victims. Making it possible for chronically ill children to see their pets again is such a beautiful way to give in the community. Another wonderful Purina summit! My son has autism and lives on his own. He recently had to go through a lengthy procedure to acquire a kitty as an emotional support animal. I am a firm believer in the healing power of that bond. I’m so glad your son now has a support animal. Especially a kitty. I too have personally experienced the healing power of the human-animal bond. 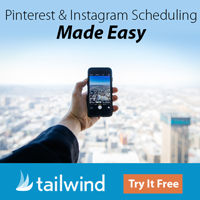 It’s pretty amazing and powerful! What a great cause! Our dogs are an important part of our family. Awesome view you have there and it looks like you had a lot fun! Im actively trying to find the right dog for us to adopt. No pets in the house any more, but we help out by volunteering at our local shelter on a regular basis! What a great view from your hotel! Looks like you learned a lot and had a great time. We don’t have any pets (weird right) but we are working on trying to get a dog… hopefully before the year is over! !